This past Friday, active firefighter and former Assistant Chief, Matt Gallagher and Miss Lauren Gilroy tied the knot. 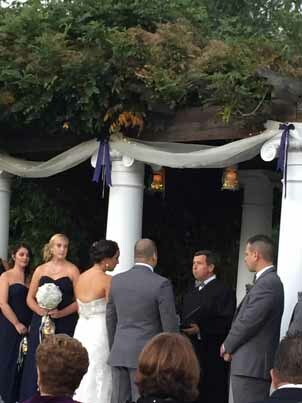 The couple shared their nuptials at the elegant Belle Voir Manor in Bensalem, PA. Their vows were exchanged and the wedding officiated by Matt’s Father, the Honorable Magisterial District Judge, James P. Gallagher. Yes, that James Gallagher, our Fire Chief. The newlyweds honeymooned in beautiful Jamaica. The entire membership of the fire company extent our congratulations and best wishes to the new couple.